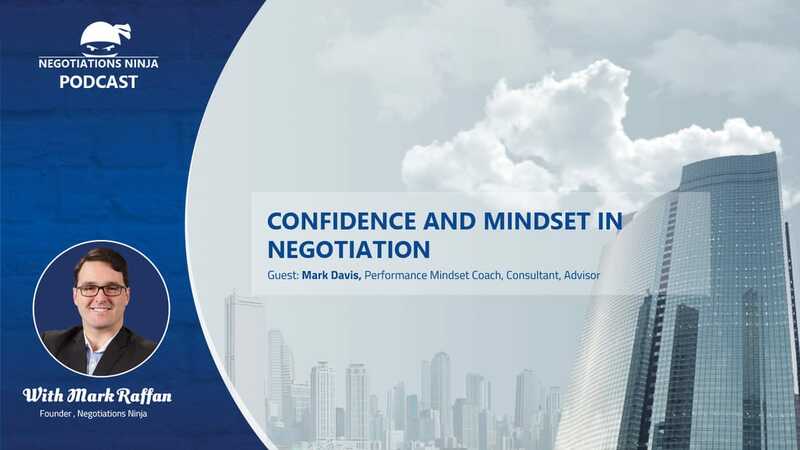 Mark Davis is a performance mindset coach and he believes that how you negotiate your way through your life and career all comes down to your mindset. Mark is a lawyer with a ton of start-up experience and negotiation experience. He talks about the confidence required to perform well in negotiations and he believes that most people actually get in their own way when thinking about negotiation and life. Mark has consulted with the Gap Partnership , a very large negotiation consultancy in the U.K., and is now striking it out on his own to teach people how to develop a better performance based mindset.